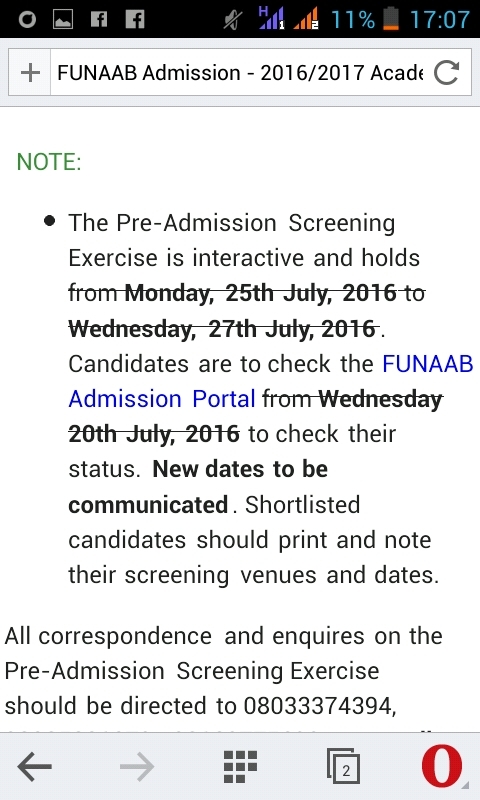 Federal University of Agriculture, Abeokuta Pospones Pre-Admission Screening Exercise. Prospective candidates are hereby informed that the Pre-Admission Screening Exercise earlier scheduled to hold between Monday 25th and Wednesday 27th August 2016 has been postponed. New days will be communicated.